Is “0-20-0” phosphate bat guano 3 times better than “0-7-0” bat guano? Maybe, but not likely. Plants require the proper balance of 16 nutrients for life. The three soil-derived nutrients that are needed in the greatest quantity are nitrogen (N), phosphorous (P) and potassium (K). Most States require fertilizers to state the percentage of these nutrients on the front of the package with three numbers. They always list them in the order N-P-K, and the values indicate the weight-percentage of that nutrient present in the fertilizer. If any other nutrients are present, they are usually listed elsewhere on the package. State law may require that a minimum amount of a nutrient must be present before its content can be claimed. Usually, this minimum is 1% for N-P-K.
Of the three main nutrients, ABG phosphate contains only phosphorous in significant amounts. Thus, it is a 0-7-0 fertilizer. But what does the “7” mean? It theoretically means that at least 7% of the fertilizer is phosphate that is in a form that is immediately available to your plants. But there is no universal truth here. We actually get available phosphate numbers from different labs that range from 1 to 20%. For example, in Florida, where unique methods are used, lab results dictate that we would have to label our product as 0-1-0. On the other extreme, a different lab consistently finds that the product has 15-20% available phosphate. Other lab results run the entire range between the two. After a lot of testing by private and State labs, we decided on 0-7-0 as a safe number. As a comprehensive United Nations-sponsored report addresses this problem in detail. That report states that part of the problem with the testing for available phosphate on rock phosphate and similar materials is that the tests are more qualitative than quantitative. The U.N. provides that the slightest variation on the method can result in great variability of the results. The U.N. report also states that when a natural substance contains a moderate amount of free calcite (up to 10%), the accepted available phosphate tests will under-report the phosphate because the relatively soluble calcite will consume the weak reagent before it has a chance to attack the less soluble phosphate-bearing minerals. Given the general findings of the U.N. report, and the independent laboratory’s finding that ABG Phosphate contains 10% free calcite, it appears possible that the available phosphate content of ABG Phosphate may be underestimated. Because of all of these problems with available phosphate tests, we believe the more reliable test is one that actually measures plant uptake of phosphorous. Under such tests, performed by an independent laboratory, it was found that plants will take up 12% phosphate from ABG Phosphate over the course of a growing season. But that does not mean it is the same as a 0-12-0 fertilizer because ABG Phosphate may be releasing 7% immediately and the remaining 5% over the course of the season. Conversely, a true 0-12-0 fertilizer would release its whole 12% at once. Thus, for labeling purposes, ABG Phosphate is a 0-7-0 fertilizer, but for annual application rate purposes, it should be applied as a 0-12-0 fertilizer. We are not trying to be critical of the fertilizer laws. They are there for your protection and that is a very good thing, if you understand them. 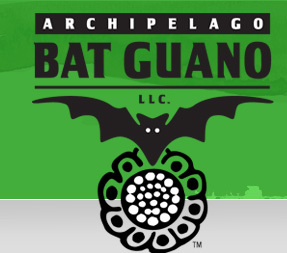 As a company that is conservative in claiming available phosphate, our self-serving point here is that of phosphate-only bat guanos that you might see on the market, there may be little difference between those labeled as 0-1-0 to 0-20-0, other than which lab analyzes the product, what body of laws governs their labels, and how gutsy companies are when choosing a guaranteed minimum on their package. For example, just with our own product, one customer who repackages the material under its own brand name told us that they sell their product as 0-7-0 in most states, but as 0-0.7-0 in Florida. On the other hand, in jurisdictions that only consider total phosphate, ABG Phosphate could safely be sold as a 0-20-0 fertilizer. But this only addresses the bat guano products. What about the water soluble phosphate (WSP) products with numbers ranging up to at least 50% phosphate? It is reported that after application, WSP stays in a form that is available to plants for only a certain amount of time, and plants can only take up only so much phosphate at a time (we will add references for this later). Given the widespread problem of phosphate pollution in the nation’s water ways, it appears that much of this phosphate just washes away with the soil. Because of this, some communities in the U.S. now strictly regulate phosphate use, even for home owners.